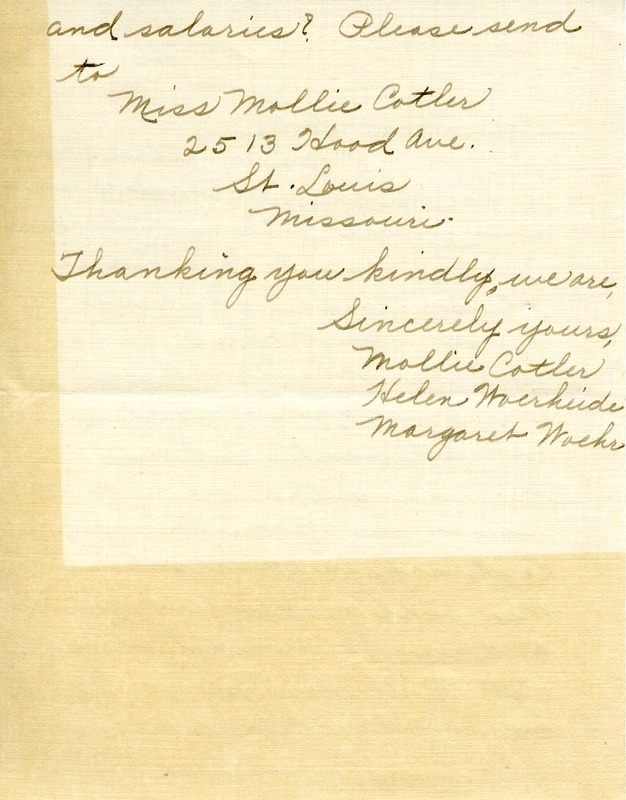 Miss Mollie Catler, “Letter to Martha Berry from Mollie Catler, Helen Woerheide, and Margaret Woehr.” Martha Berry Digital Archive. Eds. Schlitz, Stephanie A., Sherre Harrington, Jonathan Risley, et al. 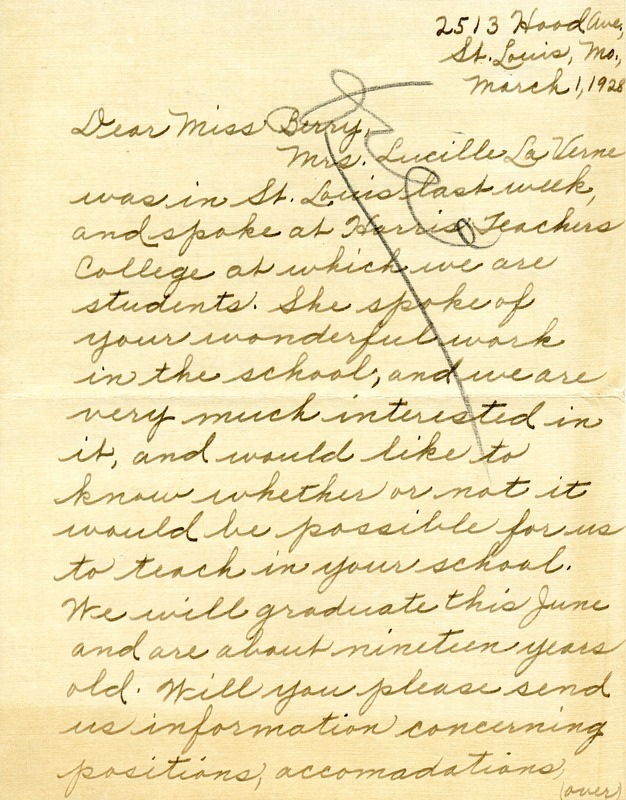 Mount Berry: Berry College, 2012. accessed April 20, 2019, https://mbda.berry.edu/items/show/7061.